Types of Spammers classification is based on our day to day experience while moderating comments as well as the informations published in different Forums and Blogs. When the idea really came in mind, we started searching. Nice! Even Wikipedia has a dedicated article on Spam in Blogs. Earlier, numerous authors has already classified the types of Spammers, most are written few years back and needs a bit update! This article Types of Spammers for WordPress Blogs, though is written in a funny tone, has serious thought and rigorous Internet searches behind it, which might help the new bloggers to identify the spams and spammers. Why you have mentioned “WordPress” in this Types of Spammers article? Other web-masters has classified Types of Spammers before us. We will mention them at suitable areas. Other than losing link juice, Spam increases the burden on database and spam Trackbacks and Pingbacks has the potential to do harm like URL redirection as well. 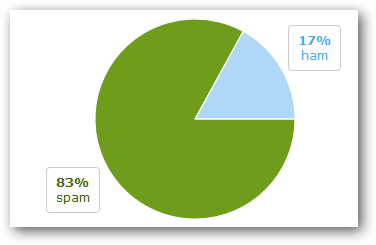 But, it is most likely that one spammer will not dedicatedly spam on a single High Keyword Value topic. Criticism : One of the best approach to classify the types of Spammers. However, one spammer can be of two types at the same time : a massive spammer can be a innocent commenter too. Our approach to classify the Types of Spammers is based on Cluster Analysis and follows the basics of Statistical classification. This approach to classify spammers might help to easily label one spammer with positive likelihood ratio if the work is done by a group or person in future. To classify the spammers in to different types of spammers, we are taking all the person who made comments on a section (think domains). As a spammer is actually a human (either operating a software to mass spam or manually), he / she belongs to the sub set of our society who uses the Internet for business purpose. Akismet can be used to classify Types of Spammers as it provides the data of False Positive, True Positive and False Negative. This is a prototype to classify Types of Spammers based on overall commentary activity of the spammer. The number of spams posted by a single spammer should not be less than a certain number (higher the better). So, this approach to classify the Types of Spammers can be made more sophisticated by input from WordPress users using the same plugin (Akismet for example). Users can label the spammer in to basic types, which are easy to understand for the novice users. For example, an additional field / tick mark in Akismet-WordPress interface to delete or approve a comment can collect the data from end user to classify Types of Spammers and give a labeling system. Probability of False Negative to classify the Types of Spammers should be eliminated. say; good copywriting is and always will be:. there’s a list of article directories I’d like to tell you about. Cite this article as: Abhishek Ghosh, "Types of Spammers for WordPress Blogs," in The Customize Windows, August 2, 2011, April 24, 2019, https://thecustomizewindows.com/2011/08/types-of-spammers-for-blogs/.